If you’re looking for an online HTML editor for your email marketing program, then look no further. We spent more than three years to create the most flexible drag-and-drop responsive online HTML editor on the planet. Our cloud-based email editor is used by end users, enterprises, and agencies to create the most stunning emails imaginable. Coupled with our free publication, “The Definitive Guide to Email Marketing Strategy,” it’s an incredible one-two punch. Drag-and-drop interface: If you’re struggling with responsive email HTML coding or outdated WYSIWYG editors, then you’ll love EDMdesigner. Our online HTML editor comes with an extremely versatile drag and drop interface, so you can build almost any email design imaginable. You can create your own templates from scratch using basic building blocks, or use the various built-in templates from our template library. Bulletproof responsive email code: The best part of our online HTML editor is that you don’t need to know anything about HTML coding – ever. EDMdesigner is the output of thousands of hours of research and development and has been thoroughly tested with Email on Acid and Litmus – as well as our own test devices. The result is that we are able to bring you the best online HTML editor for responsive email, which is compatible with more than 90% of all desktop, mobile, and web email clients. EDMdesigner is a fully tested product that is always up-to-date – that’s our guarantee. Create once and reuse forever: With our online HTML editor, there is no need to waste time recreating the same templates again and again. With EDMdesigner, you not only can save your email templates, but also your favorite elements like a news block, branded header, or the unsubscribe information. Create them once and reuse them in any of your future campaigns. Responsive email editor for everyone: EDMdesigner is not an open source technology, but it’s available for single end users, can be embedded into any software, and is also available as a standalone email content management system for those who create thousands of campaigns per year. What Else Can You Do With EDMdesigner? 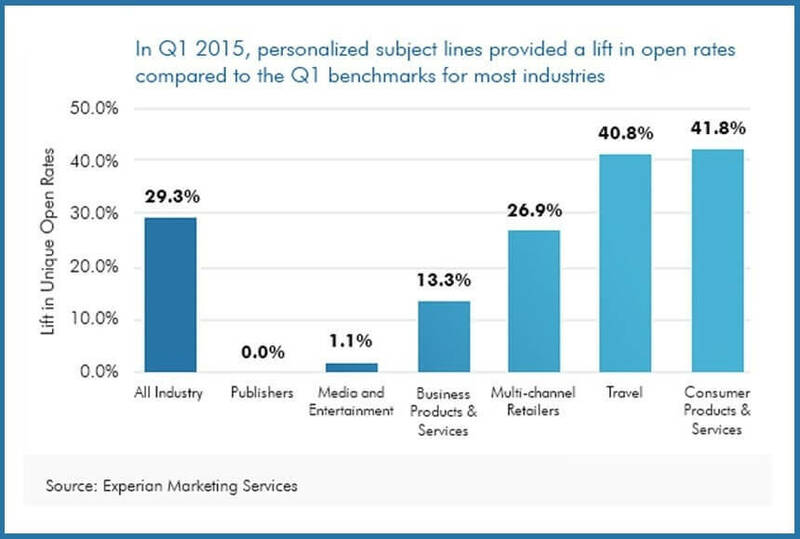 According to an Experian Marketing Services study, including the recipient’s name in the subject line increased email open rates by 29.3%. With EDMdesigner, you can easily insert custom strings and merge tags into your responsive email templates. When it comes to emails, it is important that key messages are highlighted or bolded. With EDMdesigner, creating high-performing emails is simple with our drag-and-drop interface. The P.S. is a wonderful way to remind your readers of a compelling product or service benefit, a deadline, or some other critical piece of information. With EDMdesigner, it’s easy to use the online HTML editor to create a P.S. block in your email templates to ensure you never overlook this opportunity again. EDMdesigner’s pre-built templates ensure your emails conform to email marketing best practices, removing the worry of inbox deliverability, or you can design and store your own. In EDMdesigner’s responsive online HTML editor, you can easily save your own email blocks as favorite elements for future use. Try the demo and see for yourself by clicking here.